Support Us and Get More! Besides the free membership, there will be paid plans featuring premium content. New premium content will be added at least every month. 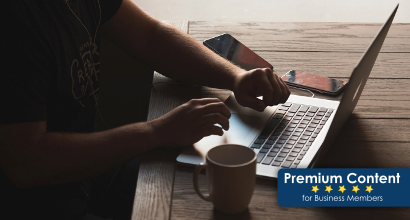 On this page, you can always see a complete list of exclusive content for Freelancer and Corporate members. This video is currently being produced. Please check back by end of November 2017. This video lecture describes a basic roundtrip requirements exchange between two tools, using ReqIF Studio and IBM Rational DOORS. The practical application is by having an OEM send a requirements specification to a supplier for review.This lecture shows in detail how to set up DOORS for import, export and merging of the supplier data. 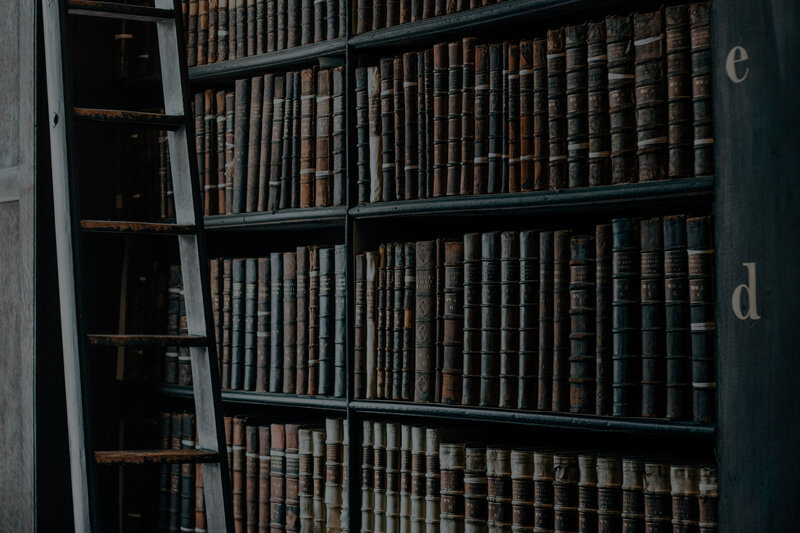 Basics of requirements engineering, and how to use ReqIF Studio for this purpose. Includes the definition of requirements, tooling and process. Explains the application in ReqIF Studio for attribute tailoring, traceability and basic analysis. This video lecture describes how Specifications workin ReqIF Studio. Besides creating, editing and typing, this lecture also describes printing and exporting them to a word processor. This video lecture describes how links are created in ReqIF Studio, in order to create traceability between requirements. Links, or Traces, are called SpecRelations in ReqIF. This video lecture describes how Datatypes work in ReqIF Studio, and explain how they are customized. In the process, it covers adding new requirements attributes, validation, ID generation and interoperability issues. 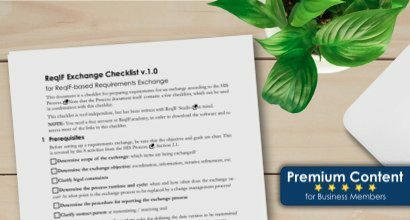 This video lecture describes how to create a new ReqIF file, and the basics of editing: Creating requirements, editing values, structuring a specification and deleting. This video lecture describes how to open, inspect and troubleshoot a ReqIF file in ReqIF Studio. 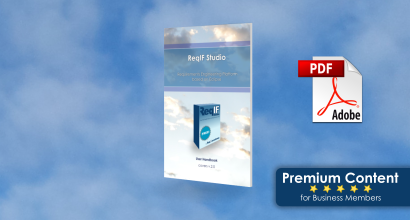 The ReqIF Studio Handbook is available free as HTML, and will always be. But if you need it as one document, for offline use, the PDF is indispensable. 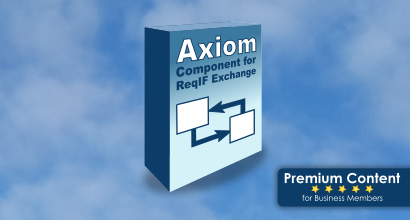 If you regularly exchange requirements with partners, Axiom may be the affordable solution you have been looking for. 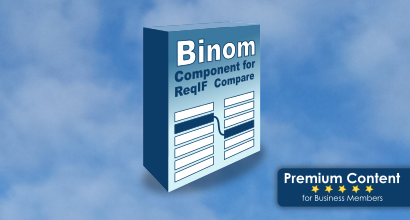 Binom is a component for ReqIF Studio for comparing ReqIF files efficiently. This is premium content. 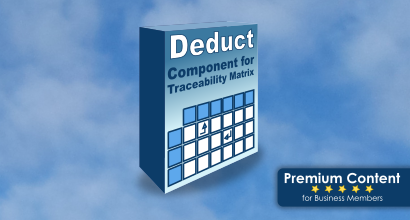 Deduct is a component for creating a traceability matrix. Visualize arbitrary relationships and highlight an incomplete traceability. Export to Excel for further analysis. 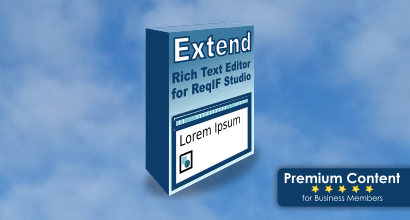 ReqIF Studio has a basic Rich Text (XHTML) editor, but sometimes, you just need more. Extend is the alternative Rich Text Editor that is guaranteed to run on all platforms, supports tables and embedded objects, and much more.